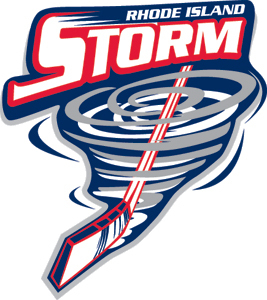 Providence, RI (8/20/2009): The Rhode Island Storm, local franchise in the newly-formed Northeast Professional Hockey League (NEPHL), will hold an introductory news conference at the Boss Ice Arena on the campus of the University of Rhode Island on Wednesday, August 26, at 10:45 AM. Edward McDonough of Cranston, owner of the new pro hockey club, will announce details about the formation and operation of his team for the inaugural 2009-10 season in the 5-team NEPHL. Other franchises in the league will be located in Brooklyn, NY; Danbury, CT; Salem, NH, and Saugus, MA. The Rhode Island Storm will play all of its 24 home games at URI’s Boss Ice Arena. Members of the media and the general public are invited to attend the August 26 news conference.